Tomorrow, Oct. 29, will mark the 40th anniversary of the 1971 death of iconic guitarist Duane Allman. Co-founder, with his brother Gregg, of the Allman Brothers Band, the Georgia musician was one of the greatest, most distinctive — and instinctive — guitar innovators in rock history. There’s an advantage to being a baby boomer from the South. 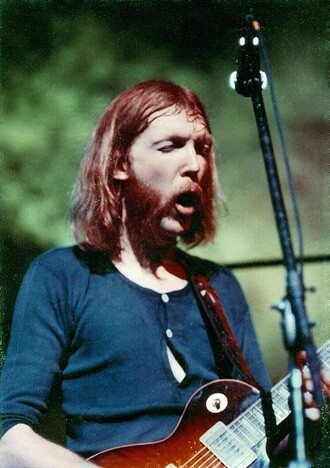 Namely, I was lucky enough to see the original Allman Brothers Band, with Duane Allman, seven times before he died at age 24 from a motorcycle crash in Macon, Ga. One of those seven shows took place in a club in Spartanburg, S.C., called The Sitar, just after the August 1970 release of the band’s second album, Idlewild South. Some friends and I were seated about eight feet from the low stage, with Duane right in front of me. At one point I was nearly hypnotized, focusing on Duane’s hands as he smoothly wove his way in and out and through a series of complicated slide guitar lines. I suddenly looked up from his hands, and was dumbfounded to realize that while he was producing those intricate, speed-of-sound licks, Duane had been leaning over, having a casual conversation with bass player Berry Oakley — as if his mind-blowing guitar breaks were effortless. I saw the band three more times after that, including the two legendary Love Valley Pop Festival shows, but that one moment is what I first think of whenever Duane’s name is brought up. The original Alllman Brothers Band lineup is generally recognized as one of the finest, and most finely honed, touring bands of all time. I imagine that’s true; all I can tell you is that the times I saw them, they were never less than fantastic, every single time.